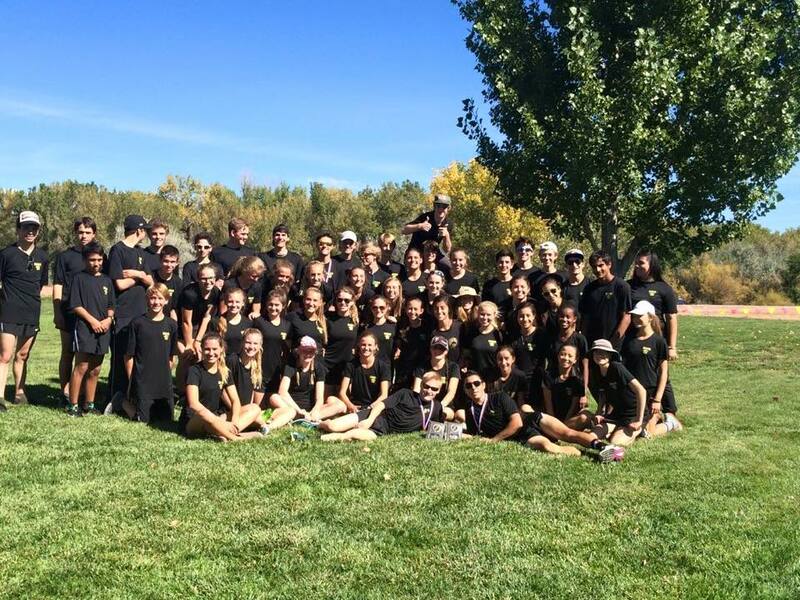 The Battle Mountain Huskies Cross Country team dominated in Delta. DELTA, Colo. — Battle Mountain Cross Country continued its historic season with a dominant performance at the Pantherfest Invitational on Friday. Both the boys and girls won the meet by a large margin. While most meets will run a Varsity race and a JV race, this weekend the Varsity races and JV races were combined, which led to some incredibly fast times. Battle Mountain had 54 athletes run under 30 minutes, and 28 run under the lettering times. Battle Mountain has spent the majority of its season down on the Front Range looking for races against the top 4A and 5A schools in the state, seeing Western Slope competitors only occasionally. Friday’s meet offered a chance to see 3 region teams the Huskies have not raced as much this year in Steamboat, Glenwood and Delta. How did the Huskies handle the new faces? The girls put 7 runners in the top 10 and the boys put 7 in the top 14. It’s one thing to have 8 runners run as a group, it’s another to have 8 at the front of the race. The lady Huskies were behind only Claudia Hirons from Glenwood Springs at the 2 mile mark in the race. As they turned the corner around the lake, Alex Raichart led the charge to chase Hirons down. 19 minutes 25 seconds for Raichart was and emphatic victory over 2nd place (19:33) and she was the first of many for the Huskies to set a personal best. Rychelle Denardo (19:41.1) was next for the Huskies in 4th place, neck and neck with Elizabeth Constien in 5th (19:41.3). Megan Rossman (19:46) was 6th while Naomi Harding (19:52) rounded out the scoring for the Huskies in 7th. For the statistically inclined, that’s a 1-5 split of 27 seconds, the lowest of the year for the #2 ranked Huskies. Joining the scorers in the top 7 were Lizzy Harding (19:52) in 8th place and Hannah Gaylord (20:11) in 10th. Melissa Delgado (20:13), Alondra Aguirre (20:22), Anabel Johnson (20:22), Isabelle McMurrain (20:45), Megan Bamford (20:56), Jordan Denning (21:02), and Coco Spangler (21:27). The Husky Boys ran a similar style race next, if not quite as dominant. A group of 7 from Battle Mountain ran together through the mile and had to move up quite a bit before they got to two miles. The Huskies were behind Glenwood’s top 4 at the mile, and it looked like they might have spotted them too much room early on in the race. That turned out not to be the case. A group of 4 for Battle Mountain, moved up and by two miles had caught all but one Glenwood runner. Alexis Aguirre, Ethan Pence, Jake Borel and Franklin Reilly all moved together and at two miles the race was nearly locked up for the Huskies. Aguirre and Pence cruised to a 1-2 finish each running a time of 16:30, besting the 3rd place runner 11 seconds. Next up Borel (16:54) and Reilly (17:01) finished in 5th and 6th each beating out Glenwood’s 2nd runner. Battle Mountain’s final scorer was Isaac Sotelo, coming back from an illness to run a nice PR of 17:24 good enough for 11th place. Rounding out the top 7 were Koby Simonton (17:34) and James Moran (17:36). Patrick Johnson (17:39), Nathaniel Badger (17:43), Max Grimaldi (17:52), Douglas McMurrain (17:58), Nick Williams (18.04), Nick Apps (18:09), and Evan Fitzcharles (18:13). The Huskies final meet of the regular season is this Thursday in Rifle, for most of the 60 person roster it will be one last chance to run hard and if this weekend is an indicator of anything, expect the team to rip.